This year for Halloween, John is going as Link from Legend of Zelda. We made his sword and shield out of papier-mâché. I sewed his green tunic and hat, and the black boot covers with my sewing machine. 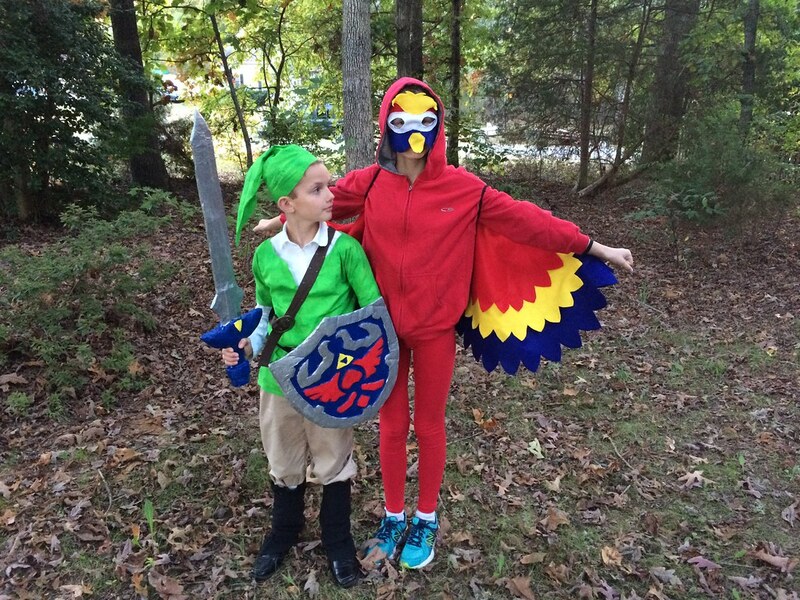 I also sewed his sister’s parrot costume. And she wants it known that she is a ‘Scarlet Macaw’, her favorite parrot, which is an endangered species. You can see more photos of the costumes and their construction here.